The final piece of Nathan Drake’s story releases soon. Is it the ending that we all saw coming? Or will Drake meet an unpleasant fate on the treasure hunt of a lifetime? Our review. Late last year I played through the first three Uncharted games as I reviewed Uncharted: The Nathan Drake collection. I’d always intended to play through the games, but having not had a PS3 when they original released, the PS4 version was something I’d been waiting for a long time. So I dove in headfirst into Nathan Drake’s world. I was floored. It was fantastic, amazing, and enthralling. This time, however, Naughty Dog has gone above and beyond. 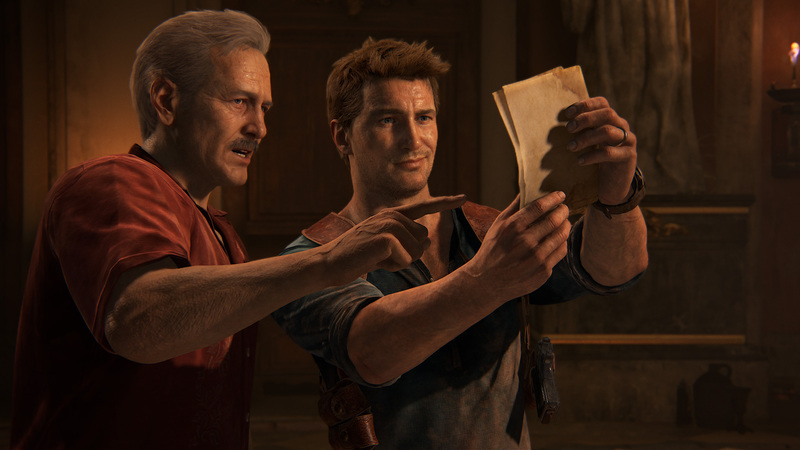 Uncharted 4: A Thief’s End isn’t just one of the best games I’ve played this year, I’d wager it’s even the very best that the series has to offer. It’s been a few years since the events in the lost city of Ubar, and Nathan Drake has finally given up his life of crime. But when his brother, who was believed to have died while working on a job some years back, returns asking for help, Nathan doesn’t hesitate to jump back into the world of crime. It’s an adventure-filled adrenaline rush complemented with personal backstory that helps to really shine a new light on Drake’s character and history. All in all, it’s easily one of the best stories that Naughty Dog has ever told, and gives satisfying resolution to characters we've come to know. What follows is one of the most exhilarating and intriguing stories we’ve ever seen. The story is on point, rapidly moving between present day and flashbacks, showing us not only the brother’s dynamic as they work together in this day and age, but also showcasing their first heist together--the one that started it all. It’s done with a deft hand, pinpoint accurate as it paints a new picture with each scene. In a time when flashbacks pockmark the media, Naughty Dog has taken this trope and used it to its full potential, keeping players on edge with each transition. Of course, not everything has improved. Drake is still his old self. Charming and somewhat crass. This feels fine, however, as after three games we wouldn’t expect the main character to change a whole lot. He’s still popping off one liners, and once he gets going again, the adrenaline flooding his veins, the excitement just seems to pulse from his conversations and actions. The disconnect between the team’s emotions when having to kill people, and the constant genocide of mercenaries when not in cut scenes is still rampant, but that’s to be expected. It’s an issue we see in all these games, even the Tomb Raider series, and it’s not something I’d expected the developer to have magically fixed overnight. Some things have changed, however. A new item, the grappling hook, has opened up new ways of traversal, and you’ll be making use of it a lot. It’s a good little item to have, and it isn’t limited too much, but sometimes it does feel a little strange that everything in these ancient areas is just magically built to work with Nate’s grappling hook. I also still find it odd that these areas that haven’t been touched for years happen to have modern looking crates with very modern looking wheels on them. It’s a bit jarring, and can really break the immersion, but like the emotional disconnect, it’s something I’ve come to expect from the series. 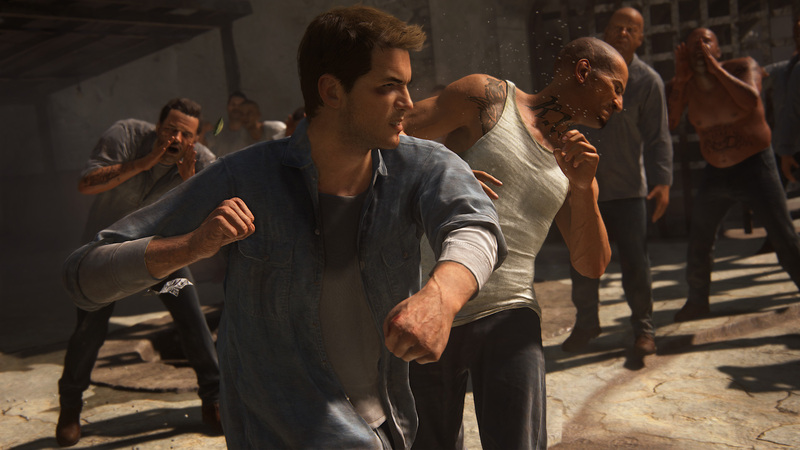 Though the Uncharted series has always focused around puzzles, story, and character clashing, there’s another vital component to Naughty Dog’s adventure game formula, and that is combat. Like the previous Uncharted games, A Thief’s End is cover-based, and really relies on the player making-do with all the options that have available around them. Simply standing out in the open and firing away at enemies will get you killed, fast, so it’s vitally important that you make use of the cover around you, and blindfire when the bullets are whizzing by way too fast to take aim. Combat is more or less unchanged from the original trilogy, however the new grappling hook and stealth mechanics make for some really unique encounters as you try to make your way around action sequences without alerting any of the enemies. Traversal is really well done on the whole, as I've come to expect from this series, but this time it feels even a bit more polished than it did in earlier titles. I felt more in control, as I would accidentally missing ledge less often, and each grapple point seemed to flow naturally without feeling telegraphed. The vehicular instances of the game are also a lot smoother this time around, as you’ll spend a lot of time in a 4X4 Jeep. It feels a lot smoother--though not as smooth as a game built around driving, like GTA. But it is a marked improvement from Nathan Drake’s terrible driving skills in the previous three titles. The grappling hook also makes a really nice addition to Nate’s arsenal, and it plays an extremely vital part in traversing the various landscapes you visit. The ease at which it is to aim and use was really surprising, especially in a time when a lot of games make things like this overly complicated. It’s also easy to climb up and down, and change your direction, making it one of the better grappling hooks that video game culture has seen in any game up to this point. Having put a few hours into Uncharted 4’s multiplayer, I can safely say that Naughty Dog has delivered an excellent third-person multiplayer experience. The game’s weapons feel really good, and while I’m not the best at the game I can easily tell it’s my fault and not the game’s mechanics. The Mystic system feels really good, and while I’ve never been extremely fond of the supernatural connections that the Uncharted series has featured, the Mystics don’t feel all that out of place in the game’s multiplayer. There have been some reports of connection issues, with some players unable to even launch the game’s multiplayer introduction. I, however, experienced no such issues in the ten to twelve hours that I invested in the experience. The leveling system and gun unlock system reminds me a lot of The Last of Us, which I played quite a bit before the multiplayer really died down. 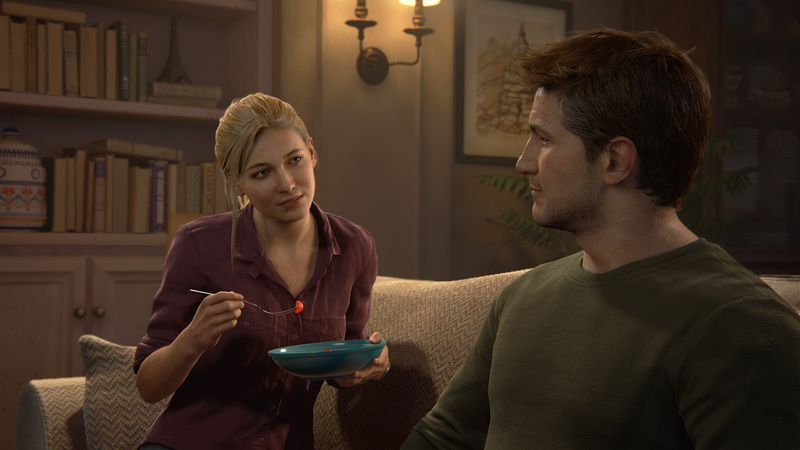 Obviously the game still features that familiar Naughty Dog touch, and the character’s dialogue outbursts during multiplayer combat really makes the avatars feel more like an important competent, versus the cosmetic appearance you’d expect out of a game that features its singleplayer characters as multiplayer avatars. All in all, it’s an excellent experience that is sure to continue to help pave the way for future third-person multiplayer games. Uncharted 4: A Thief’s End is by far one of the best games I’ve played this year, and that list includes quite a few gems. It’s a brilliant Act 3 to the series, and it works extremely well to tie up all the loose ends that the games have made over the years, as well as offers up an outstanding third-person multiplayer experience you won't find anywhere else. But exactly whose end is it? Well, that’s something you’ll have to figure out yourself, as I wouldn’t want to spoil it for any of you reading this review. What I can say, however, is it is the best representation of the Uncharted series we have seen to date, and you’d be doing yourself a disservice if you didn’t experience it firsthand. This review is based on a copy of the game provided by the developer. Uncharted 4: A Thief's End will be available on May 10 for PlayStation 4 for $59.99. It is rated T.
i don't get the point of pre-ordering. i only did it cuz i got a $10 off coupon expiring back in October through amazon. otherwise, what's the point? i don't think i got any pre-order incentives either. I only preorder if I get something out of it that I actually want, in addition to the game. Preload can be a great plus. Awesome! My body is ready and I have it already pre ordered, can't wait.